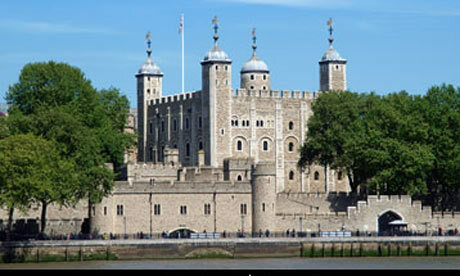 The Tower of London has a fascinating history spanning nearly 1,000 years. It has served various purposes over the centuries – fortress, prison, royal palace, jewel house, mint, arsenal and place of execution. When work was begun by William the Conqueror in 1078, Londoners had never seen anything of the like before. He had stone specially imported from France to build the White Tower and its unique Norman style was quite outlandish to the locals. William saw the need to build a fortress in this powerful and prosperous city not to defend it from foreign invasion, but to protect the conquering Normans from the city’s own inhabitants. For centuries afterwards, the Tower served the same purpose, providing safety and security for various monarchs from their own subjects in turbulent times. As time passed and needs changed, the Tower was adapted and extended until it became an extensive complex of fortifications. The 13th century saw the establishment of a Royal Mint on the premises, as well as a menagerie. This private collection of exotic beasts is thought to have begun when Henry III received three big cats (leopards or possibly lions) as a wedding present in 1235. The Lion Tower was built to house the collection, which had become a public attraction by the late 18th century. However, with the opening of London Zoo in the early 19th century, the animals were transferred and the menagerie closed down. The Lion Gate is all that remains of the area where it was housed. The Tower of London is probably most well known today for its notorious history of gunpowder, treason, imprisonment and murder. From the early days it was used as a prison and place of execution, often for very high profile or illustrious captives. Henry VIII had two of his wives beheaded on Tower Green – Anne Boleyn and Lady Jane Grey, whom Edward VI declared his successor just before his death in 1553, fearing that his own daughter Mary would restore Catholicism. She was only a few days into her reign when Mary took the throne from her cousin and had her imprisoned and eventually executed on Tower Green in 1554. Mary also famously had her half-sister Elizabeth (later to become Queen Elizabeth I) imprisoned there for three months under suspicion of plots against her. Elizabeth herself had various notables incarcerated in the Tower upon her succession to the throne after Mary’s death – from aristocrats and dukes to clergymen and bishops. 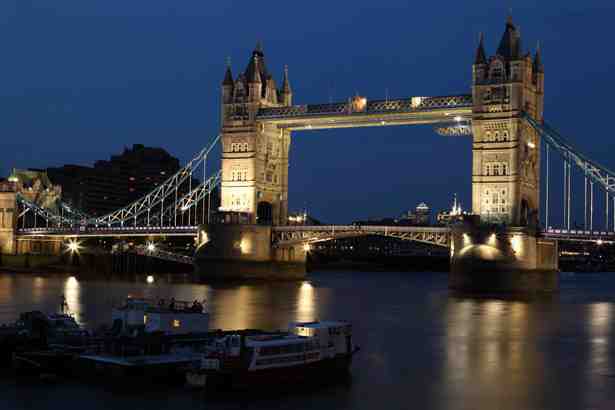 Another event for which the Tower is infamously known is the mystery of the two boy princes in the 1480s. The two sons of Edward IV, Edward V and his younger brother Richard, were housed in the Tower by their Uncle (Richard, Duke of Gloucester) for ‘protection’ after the death of their father in 1483. Edward V was to be crowned King. However, the Duke took the throne himself and after remaining in the Tower for a short while afterwards, the boys vanished. Their fate is still a mystery today, although it is commonly believed that their uncle had them murdered. In the 17th century, the Crown Jewels were first put on public display, and they can still be seen there today. It was also during this period that the Tower started to be used as an arsenal and armoury. During the 19th century, however, the Tower gradually lost many of its functions. As explained above, the menagerie was moved to London Zoo. The Royal Mint was moved to new buildings elsewhere in the city (although it’s now based in Cardiff) and the War Office moved the weaponry elsewhere. This wasn’t the beginning of the end for the Tower, though. In fact, it heralded a new and exciting period for the fortress. Medieval romanticism had started to become fashionable in Victorian times and architectural and historical interest in the Tower started to increase. The Victorians undertook an enormous programe of restoration and reconstruction, paving the way for it to become one of Britain’s most popular tourist attractions. Indeed, by the mid 19th century visitors were coming in droves and a ticket office had to built at the main entrance to cope with the crowds. The Tower was very much still in use as an official public building though. Even in the 20th century, it was used as a prison during World War Two. The last execution took place here in 1941 – a German army sergeant was shot in the grounds by firing squad for spying. 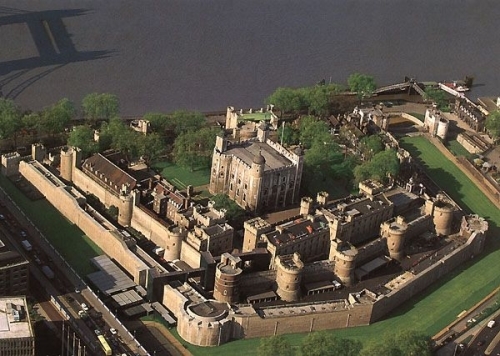 To this day, it still retains its function as a royal residence and home of the Crown Jewels. As a result, it’s still guarded by its own ancient regiment of Yeomen Warders (more commonly known as Beefeaters) whose role is to guide and entertain tourists as much as it is to defend the Tower. 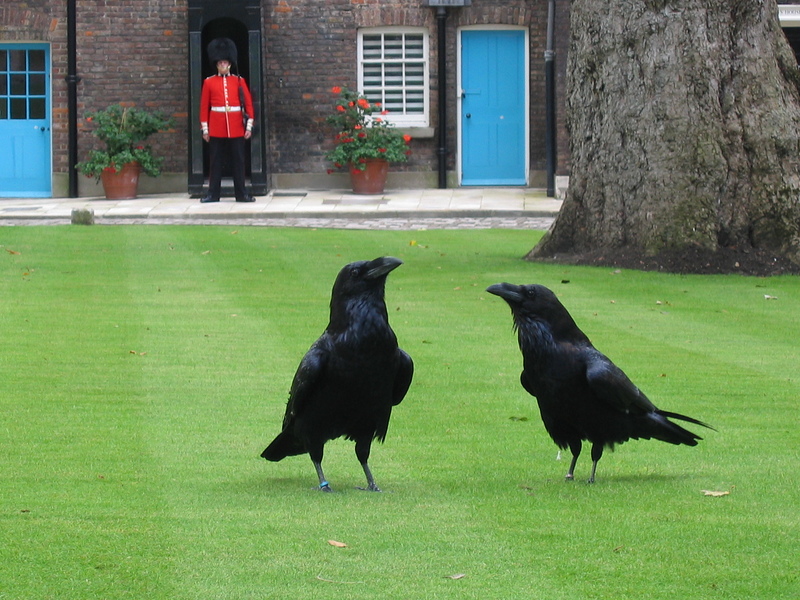 Although no royals have lived at the Tower for a long time, it still has one very important set of residents – the famous ravens. These black, long-beaked birds have been here for centuries. An old legend states that Britain will never be invaded as longs as ravens remain there, so they can still be seen wandering around the grounds today and even have their own guards to look after them. No-one’s taking any risks though – their wings are clipped to ensure they’ll never leave!